We are a faith based, family owned company. We feel very blessed to have helped thousands of loving couples, in the Pittsburgh area, celebrate their love and all the special occasions of the heart Since 1951. Make wishes come true with a very special gift of love from Seita Diamond Jewelers. We appreciate your friendship and look forward to the opportunity to serve you. Our mission is to build lifelong friendships with our clients by offering unmatched personal service, and outstanding quality and value in a relaxed and comfortable shopping environment. Experience the Seita Diamond Jewelers difference in service, quality, selection and value. 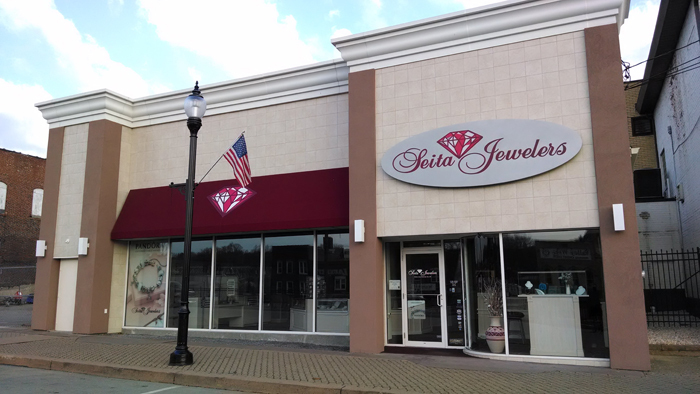 Seita Jewelers in Tarentum, PA was founded in 1951 by Dom Seita. Dom's daughter Sandi (Seita) Marino and her husband Curt Marino, along with their Daughter Nicole, make up the second and third generations of this family owned and operated business. Our goal is to make our customer’s Jewelry buying experience a memorable, relaxed and confident one. 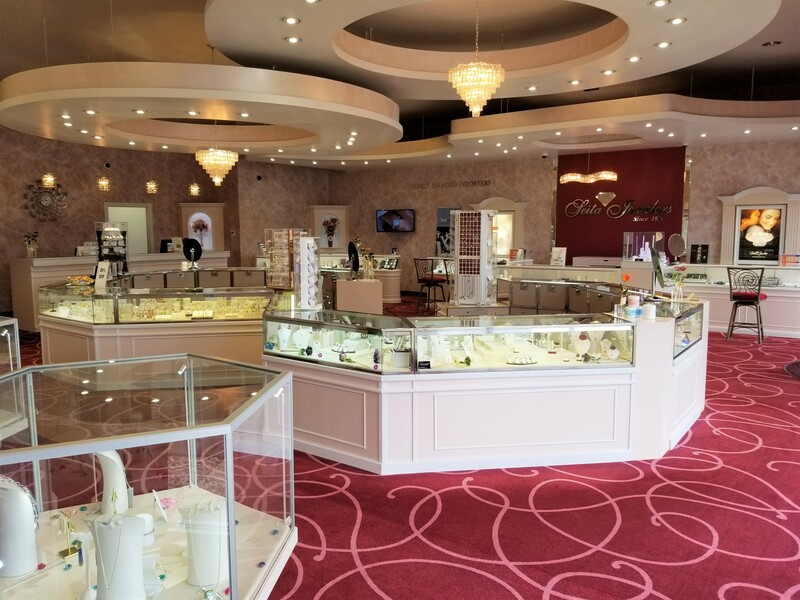 We offer the area’s largest selection of diamonds, gemstones, gold, platinum, sterling silver, fine watches, and many other fine gifts. We take great pride in offering our valued customers the hometown personal touch of service and quality. Expert remounting, design, watch and jewelry repair, appraisals and engraving also add to our full service offering to help make our customer’s Jewelry buying experience a memorable, relaxed and confident one. As “Your Direct Diamond Connection”, Seita Jewelers has developed an extensive network of Diamond dealers throughout the world. Our Direct Diamond Buying Trips to Antwerp, Belgium give us an opportunity to offer our friends the world’s most beautiful and brilliant diamonds at direct buy savings. We are the area’s only IJO Master Jeweler (one of a select group of members of The Independent Jeweler’s Organization ) and we combine our knowledge and expertise with that of other members from around the world to continue to offer our customers a collection of the latest styles and trends of beautiful jewelry from top designers exclusively available to IJO members only. 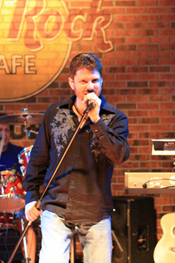 We invite you to stop in and realize what thousands of satisfied customers have known for years. 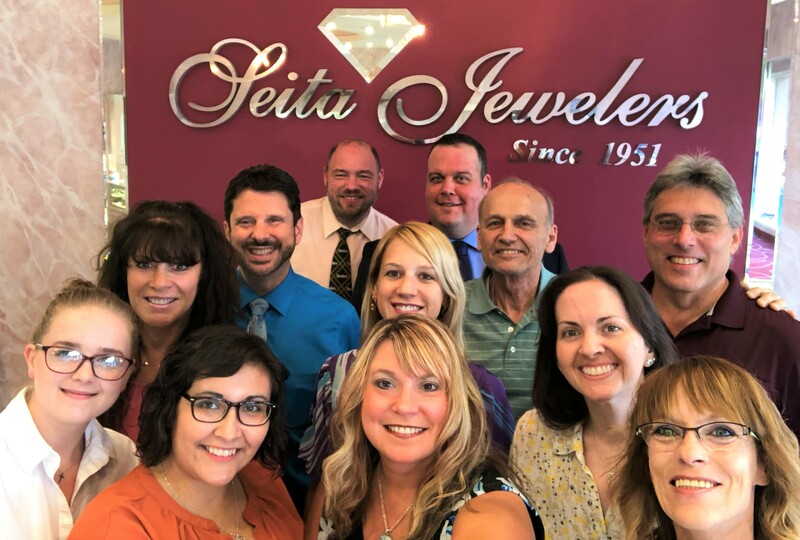 Great Quality, Hometown Service, Selection and Value are alive and well here at Seita Jewelers as we celebrate over 60 years of Great Friendships with our clients. Specializing in Diamond Engagement, Bridal and Anniversary Jewelry, you can buy with confidence the brilliant gifts that are sure to be cherished for a lifetime. We also support many local charities and organizations.